Having had tremendous success with their online collectible card games, Sony Online Entertainment has caught collectible fever, snagging the ultra rare PoxNora collectible strategy game from developer Octopi. PoxNora is an online strategy game that combines the mechanics of turn-based strategy with aspect of a collectible card game. As of this past Friday, SOE now owns the game, along with its development team from Octopi, who will now form the core of SOE's new Tucson, Arizona. The developer formerly known as Octopi will be working on maintaining SOE's strategy stable while working on developing new projects and expanding into new genres. 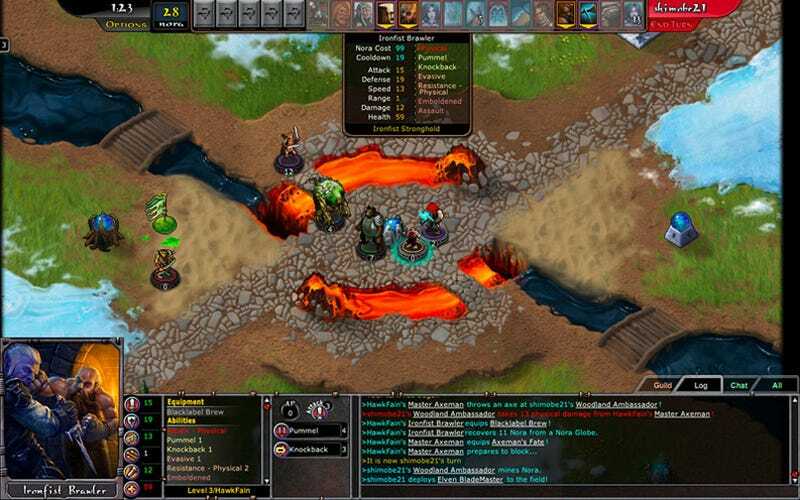 SAN DIEGO, CA & TUCSON, AZ – Jan. 19, 2009 – Sony Online Entertainment LLC (SOE) now owns the ground-breaking, critically acclaimed PoxNora online collectible strategy game and the other key assets for future game development from Tucson-based Octopi, LLC. As part of the acquisition, members of the Octopi development team will form the core of SOE’s new Tucson studio, focusing on the continuing support of PoxNora as well as working with SOE’s Denver studio on new trading card and strategy game projects. The transaction closed Friday, January 16, 2009. "We could not be more excited about becoming part of the Sony Online Entertainment family," said Dan Kopycienski, president of Octopi. "We have always been passionate about developing unique and creative games for our customers, and now with the support of SOE, we will have the opportunity to take our products to that next level." Based in Tucson, Arizona, Octopi, LLC. are the developers of PoxNora, a successful online game that combines aspects of traditional card games with turn-based strategy games to give players a unique game experience. Seven successful expansions provide a strong base for current success, as well as building a sturdy foundation for the future. The new SOE Tucson studio will work closely with SOE’s Denver studio on maintaining and expanding SOE’s lineup of strategy games, as well as pushing into new genres and developing new projects. More information on Octopi and its titles can be found at www.octopi.com.